Hello there and welcome to day three of Clearly Besotted Teasers! Not long to go now, all the products will be available to buy tomorrow :0) Today I am sharing with you the beautiful Dandelion Dreams set. I have kept my card very simple and stamped the Dandelion heads with PTI Winter Wisteria ink and the stems with PTI Spring Moss ink. The sentiment (also from the set) is stamped in Versafine Onyx Black ink. 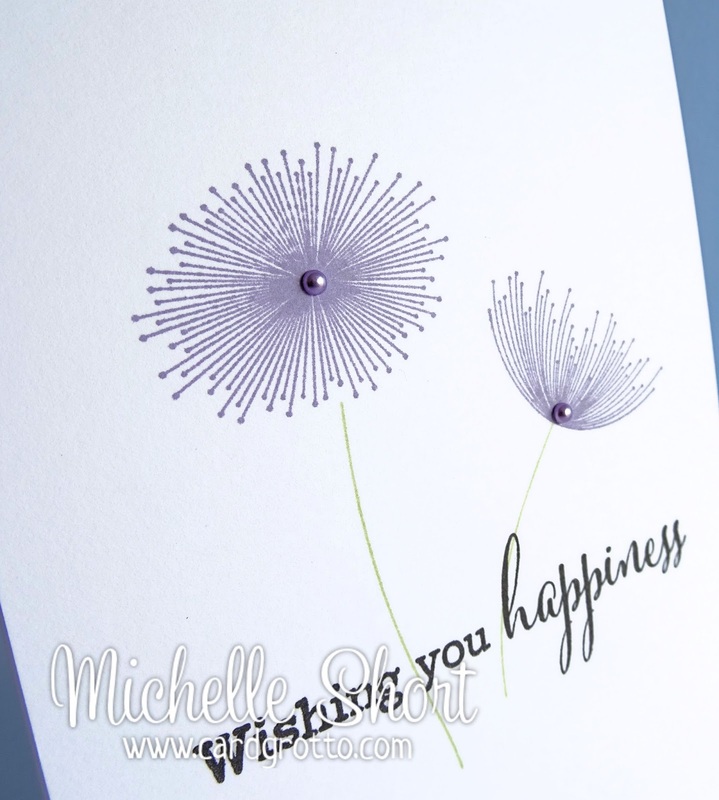 I added a couple of Doodlebug Pearls to the Dandelion centres and rounded the corners of the card base to finish. Thank you so much for visiting me today, as always please pop over to see Stephanie who will not only have some amazing card samples to share with you but will also have links to my fellow teamies who are teasing today too. Have a great day! Another beautiful card Michelle, so elegant. Stunning card Michelle, definitely my favourite so far. These dandelions are so unique, and your cards showcasing them are simply stunning! Fabulous! Your CAS style is perfect for this set! 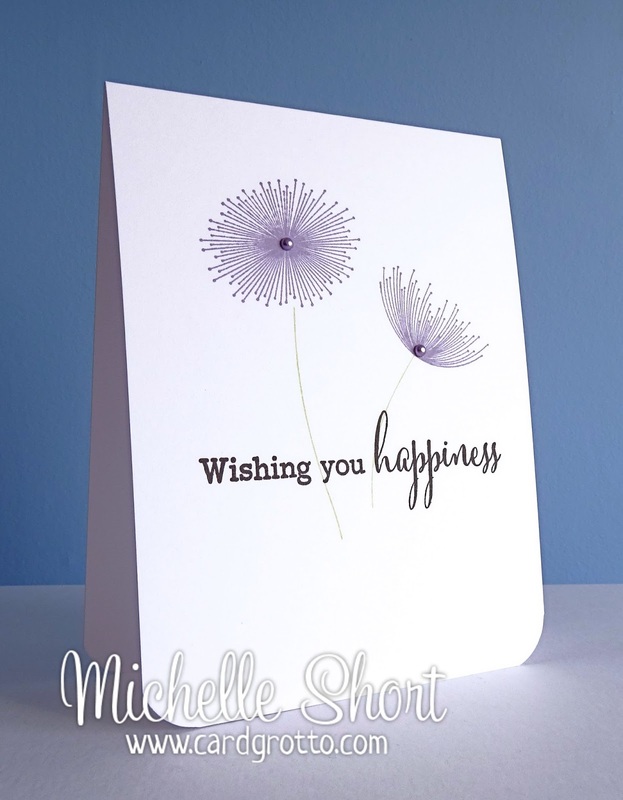 I love the soft lavender that you chose for the dandelions...such a lovely sentiment, too! Once again, you have showcased the new release beautifully, Michelle! So pretty! Your cards for this release have been fabulous. The baby and bunny cards were so cute and the way you masked the veggies and added the "earth" beneath was brilliant. 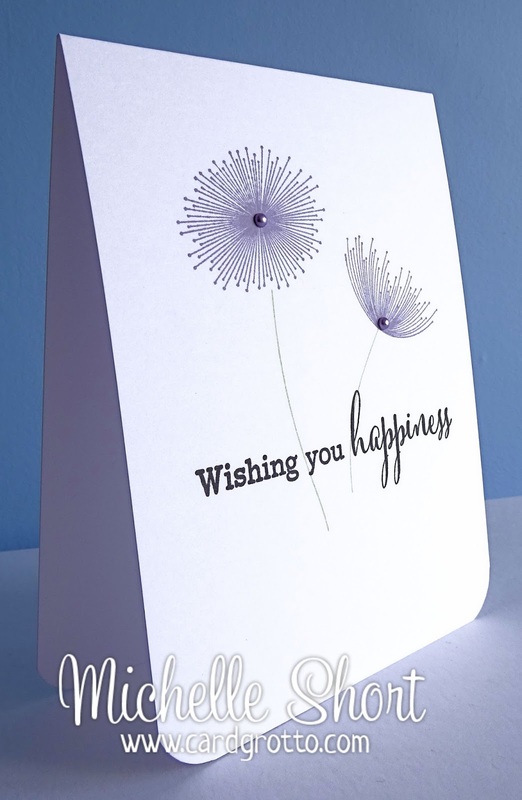 These dandelions are so very pretty and with the pearls in the middle as well as the beautiful sentiment it's a very elegant card. my new favorite set! gorgeous inspiration! Wow...what a card! I love your clean and crisp images of these beautiful flowers, really makes for a sweet card.